Having access to comprehensive SEO tools is vital for properly maintaining a growing or large web presence. Unfortunately, many are not able to invest the cost without knowing whether or not there will be measurable boost to performance. Many SEO tools offer the ability for you to try the software suite prior to purchasing, which will leave you with an overall idea of how the software functions. 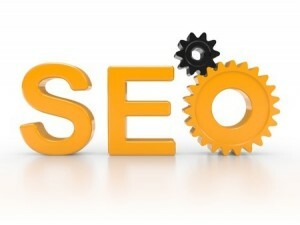 Below, are five premium SEO tools that anyone can try before they buy. Offering a 30-day free trial with no strings attached, Raven Tools will give prospective users the ability to engage in SEO research, link building, social media monitoring and competitor analysis, and much more. Raven Tools originated from a strong link management platform, but has grown to provide over two dozen unique tools that layer with one another quite well. Once the trial ends, you can subscribe to a plan (with unlimited projects) for $99 per month. Those who are seeking a comprehensive solution for keyword monitoring and ranking will appreciate what Whoosh Traffic has to offer. Also offering a 30-day free trial, Whoosh gives users the ability to monitor up to 300 keywords for an unlimited number of domains, all for just $49 per month. Those who need to be pinging search engines in order to have a consistent picture of where their pages standing in ranks will appreciate all that this platform has to offer. Those who feel they would benefit from an aesthetically-pleasing SEO dashboard with intuitive design will want to give WebMeUp a try. While the trial is for a shorter period of time than the aforementioned solutions (this one is 15 days), you will have access to traffic monitoring, social media outreaching and analytics, search metrics as well as an intensive backlink analyzing option. This program is still in beta, but is highly functional and worth evaluating in order to learn more about SEO tools at large. Also offering a 14-day free trial is cognitiveSEO, a link analysis solution that displays all of your desired metrics in a graphically-dense fashion. With this SEO tool, you will gain access to inbound like analysis, backlink reports, rank tracking and monitor multiple domains and of course, access the beautiful Visual Link Explorer Tool. You’ll be able to keep an eye on stats such as nofollow versus dofollow and the amount of low quality links that exist. After the trial ends, cognitiveSEO is only $19 per month, making it a great buy for the budding blogger or webmaster. Building links works well when coupled with aggressive discovery tools that optimize your existing link building strategy. Link Prospector offers not so much a trial, but a free one-time service. You will be able to generate one of many different link discovery reports that they offer, giving you greater insight into specific elements of your keyword and link building strategies. Whether you are wishing to analyze comments, topical blogs or forums, Link Prospector has a strong set of skills for pinging search engines and getting the job done. i see a lot of broken site on one of our site,but when i checked the page i didn’t find any broken link, the link worked fine on my end,may be i will need to try another tool.